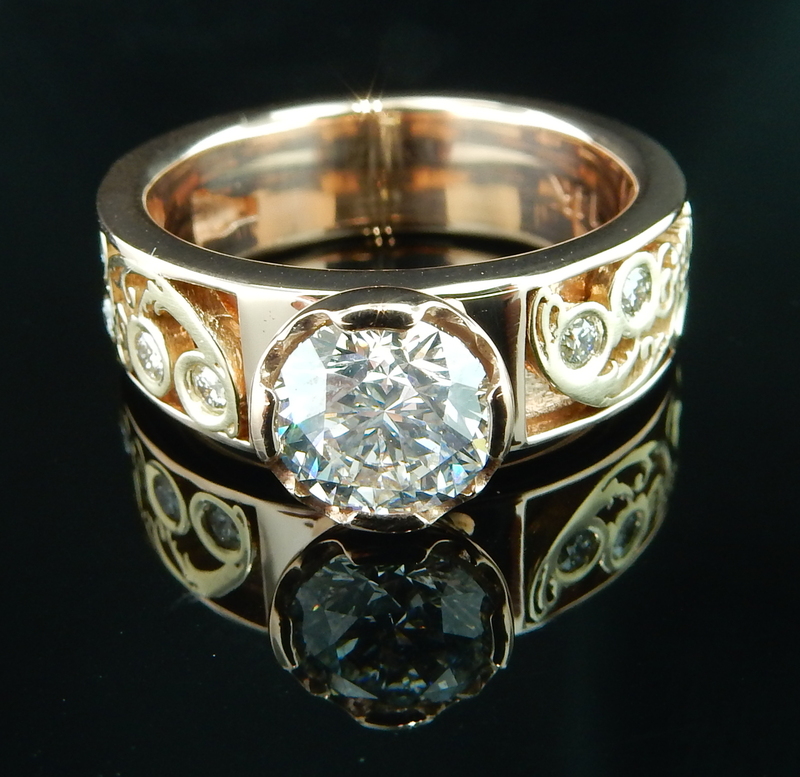 Check out this unique rose and yellow gold engagement ring, using all customer's own diamonds! 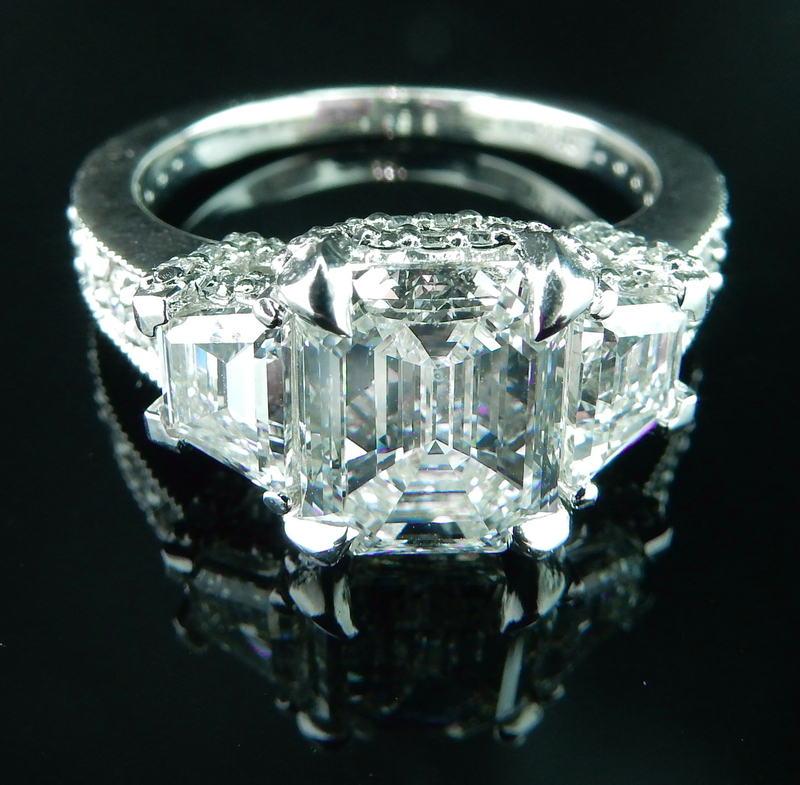 Stunning Emerald-cut and Trapezoid 3-stone design! Set in platinum, we re-designed this amazing 2.00 carat emerald and added two trapezoid side-stones to create this larger, flawless look! 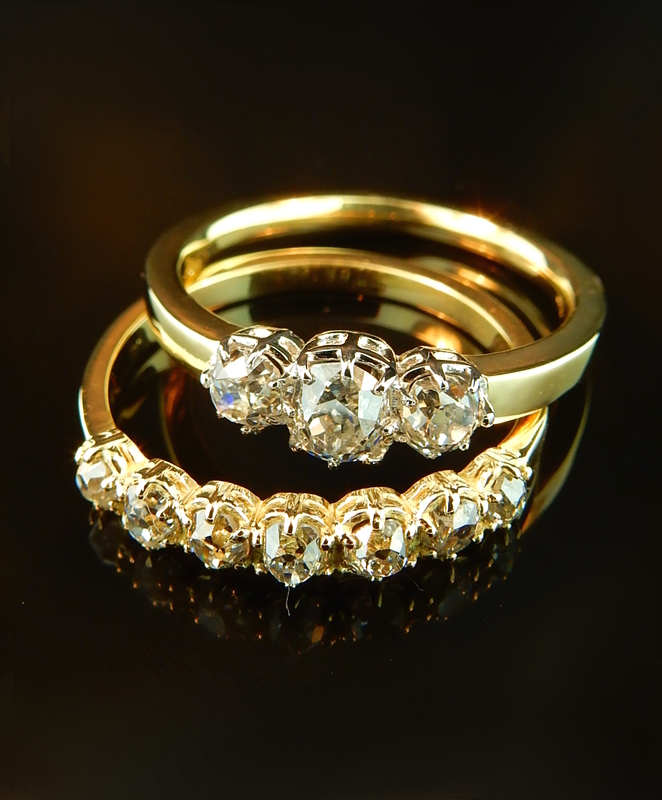 This skillfully set diamond band combines the nostalgia of family diamonds with a modern setting technique and design. 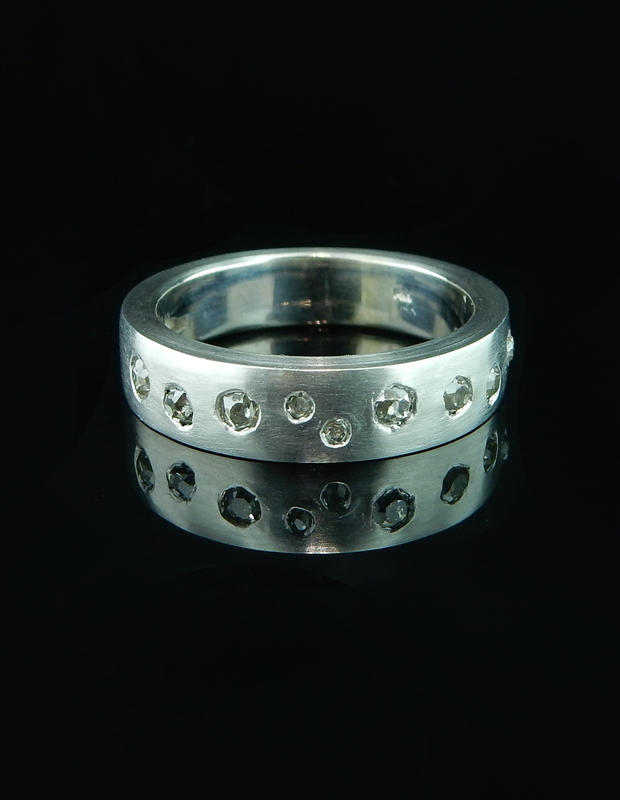 This incredible custom made band features old mine cut diamonds that were unset from a family ring and reset into a wearable piece. The brush finish compliments the sparkle of the old diamonds and the flush setting encases them in gold for the ultimate protection. Bring in your inherited diamonds today and we will create something spectacular and meant only for you! 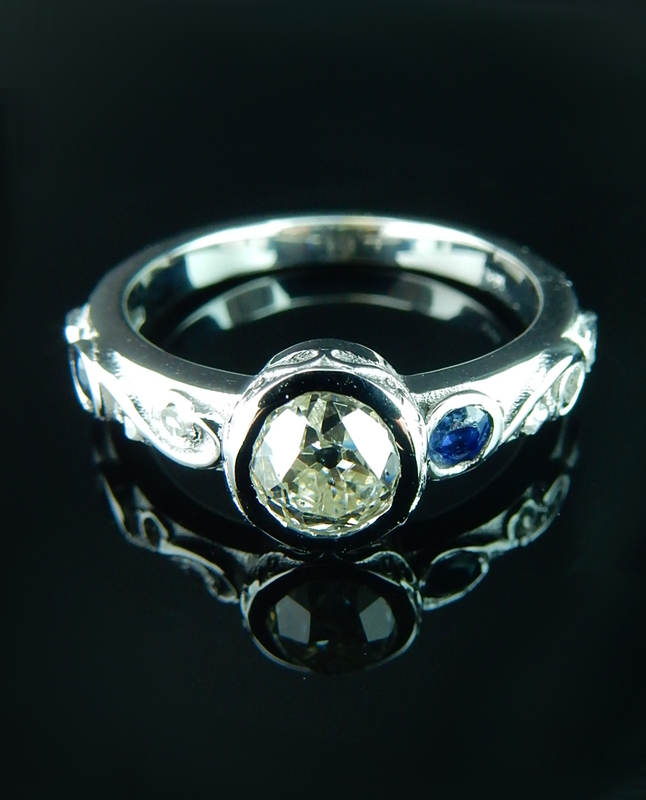 Heirloom Diamond and Sapphire Ring! These gorgeous heirloom stones came to us and needed a little freshening up. We took careful measurements of each stone to make sure they fit perfectly into this new and timeless ring setting! Do you have inherited pieces of jewelry that you will never wear as is? This fun engagement ring and band project was created from old pieces of sentimental jewelry that we re-purposed into something more modern and wearable. 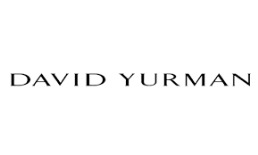 Bring us your old jewelry and let us create something that you will actually wear! 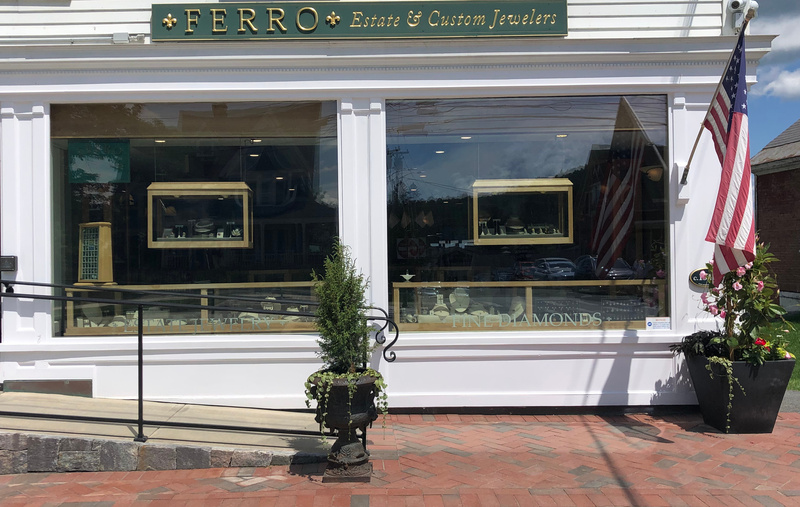 These brand-new Ferro designs can be made in any metal type and in any size! With a delicate textured finish, these wide bands are a perfect way to complete your "I DO!" 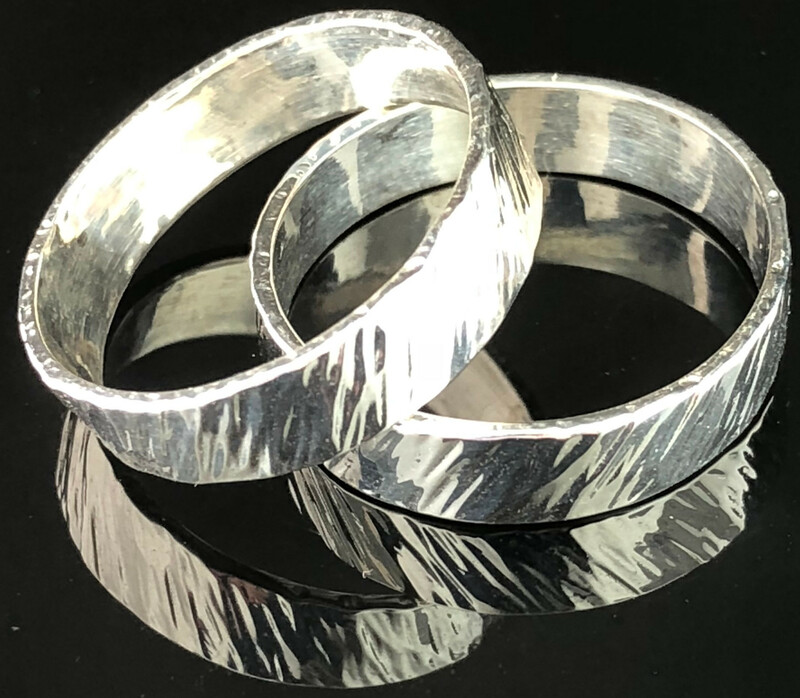 These incredibly unique sterling silver earrings have a fun design with lots of movement! Wearing these adds a bold shine to your outfit. 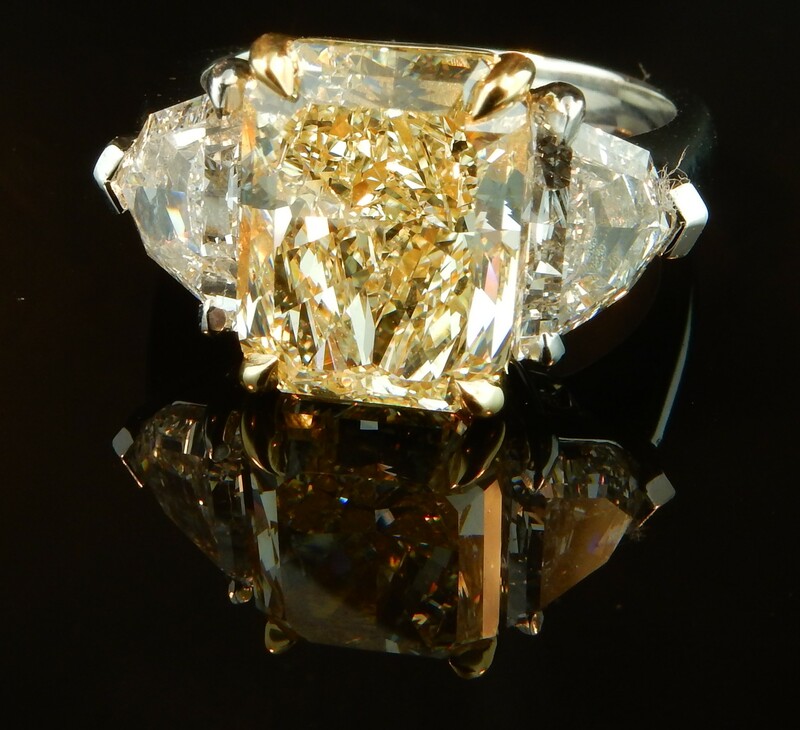 This high polish 14k white gold and diamond ring is fantastic! 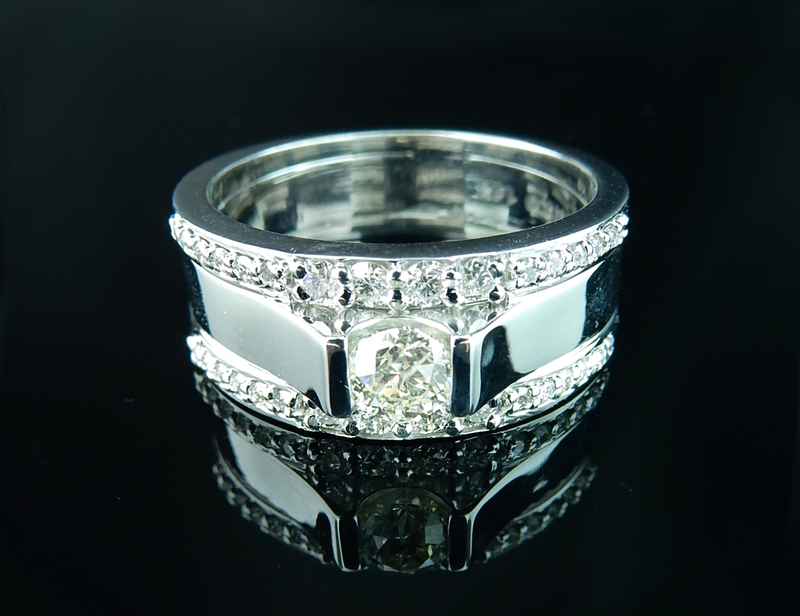 The unique setting techniques as well as the overall design of this piece highlights the high quality diamonds and white gold flawlessly. 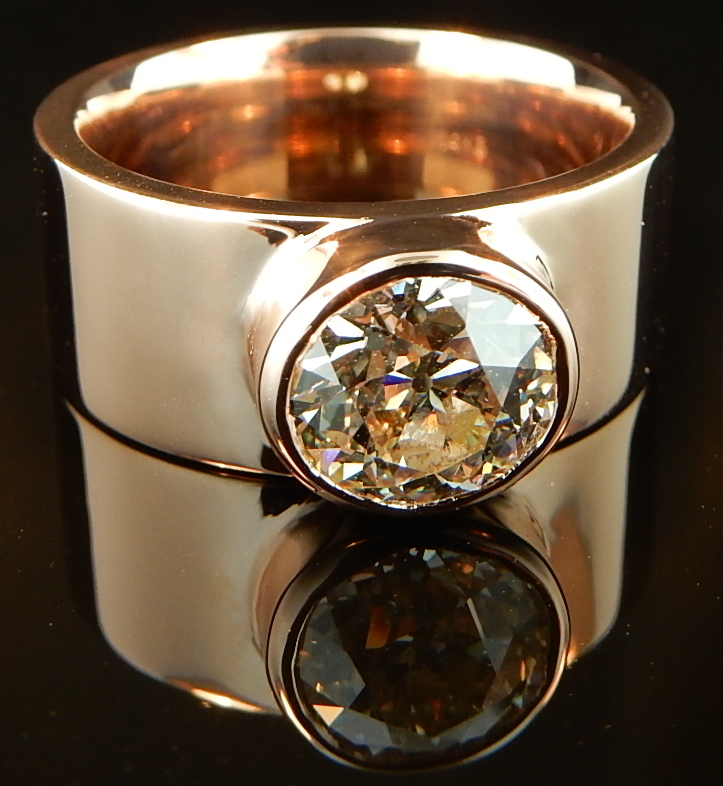 One-of-a-kind Rose Gold Bezel Engagement Ring! This 14k rose gold engagement ring securely protects and highlights the natural beauty of this 1.80 carat old European cut diamond! We are able to remake this design for any stone or metal type. This custom-made pendant contains a 19.08 ct emerald cabochon set in 18k yellow gold and is surrounded by diamonds. Get yours today, with a center stone of your choice! 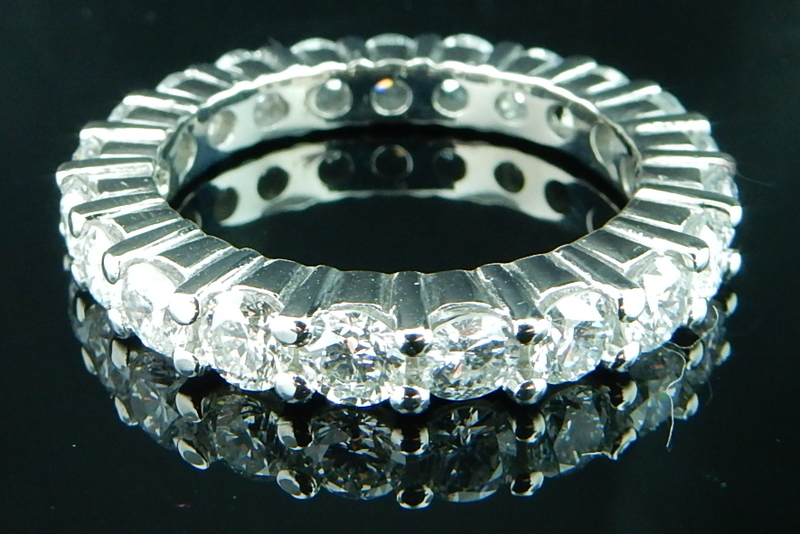 You will fall in love with this absolutely perfect round brilliant diamond eternity band. Twenty-one sparkling diamonds set in platinum makes for the ideal wedding or anniversary band!